The DK Spanish-English Bilingual Visual Dictionary introduces the vocabulary of the modern world through themed chapters filled with full-colour photographs and artworks which display and label all elements of everyday life. With sections ranging from home and work to leisure and the environment, every item is clearly labelled in Spanish with the translation directly below. 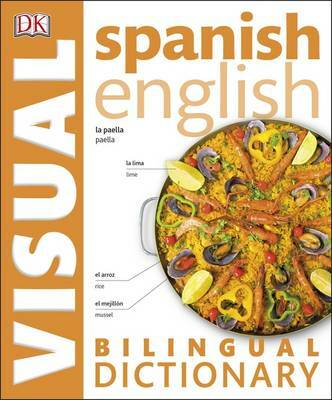 The Spanish-English Bilingual Visual Dictionary is a colourful and stimulating learning resource ideal for all levels and ages. With more than 6,000 terms annotated, the illustrations in the dictionary provide a quick and intuitive route to learning a language, defining the words visually so it is easier to remember them. Learning Spanish has never been easier!